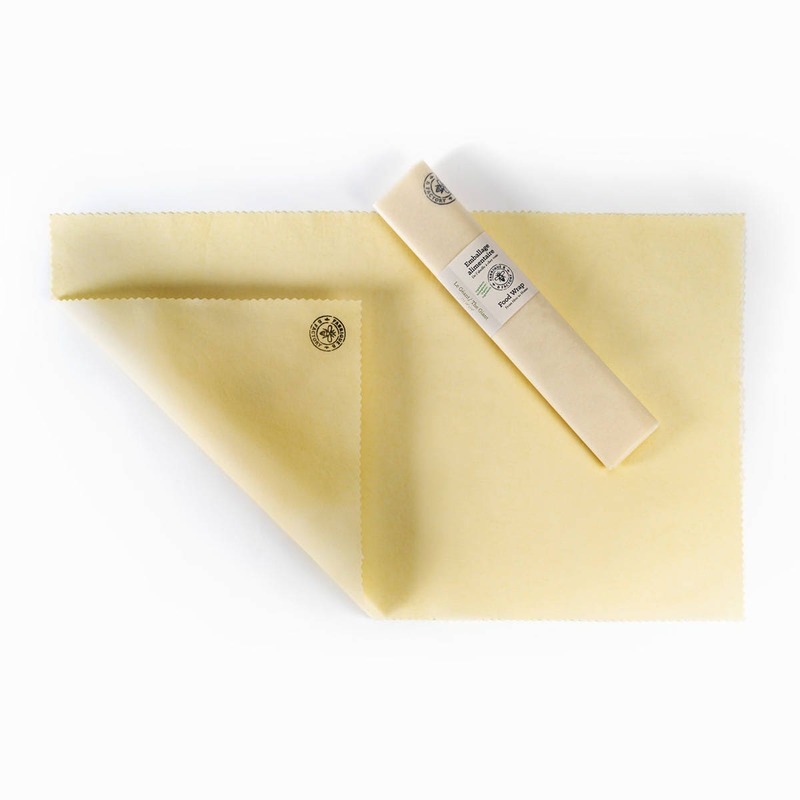 The Giant wrap is made of certified organic beeswax and organic cotton cloth, with organic jojoba oil and tree resin to help give it a longer life. So easy to use, just press and seal! 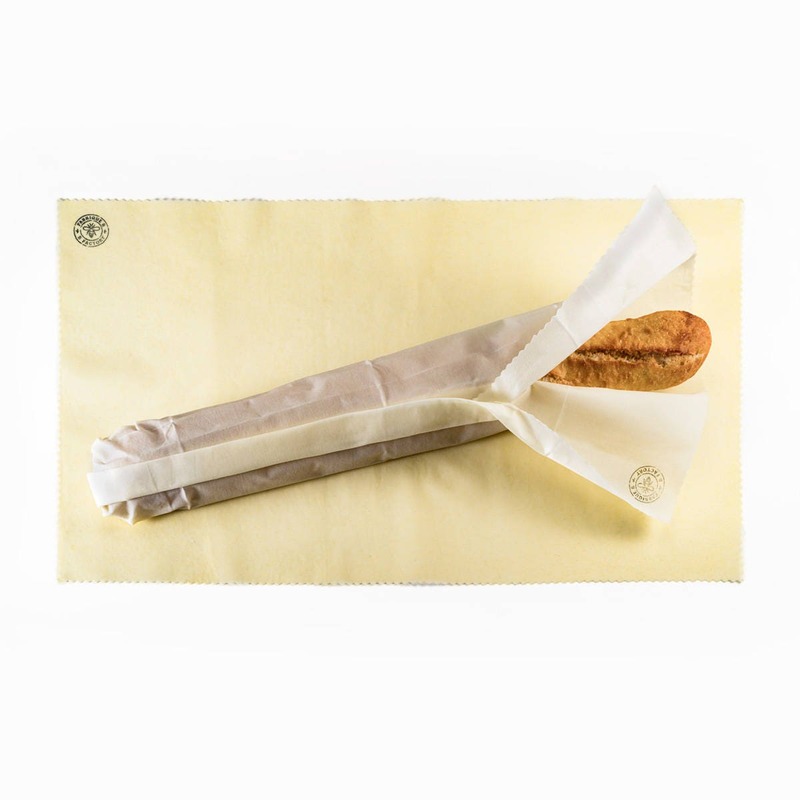 These extra large wraps are great for baguettes (it will keep the bread soft), as well as large pans. Each pack has one 14" x 24" wrap. To clean, rinse in cool water and wipe with sponge or cloth. Use a dab of mild unscented dish soap only when needed. Very Nice, Packaged Beautiful. Happy with my purchase. fast shipping and great product, love it! Wonderful product! Holds its shape very well and preserves food in a very environmentally friendly way. It is also easy to was and store.